Heat Pump Water Heaters – Morrison Inc. The AO Smith Voltex Water Heaters are twice as efficient as a standard electric water heater and easy to install. These water heaters use heat pump technology to provide a more efficient way to heat your hot water than a conventional hot water system. Water heaters account for 14% to 25% of the total energy consumed in a typical home today. On average, they use more energy than a household’s refrigerator, dishwasher, clothes washer and dryer combined. The great news is that Voltex has been designed to dramatically decrease the cost of operation. In fact, Voltex can translate into quite significant savings for the homeowner over the course of its lifespan. Just how significant? These innovative water heaters can cut annual operating costs by more than half compared to standard electric tank water heaters. 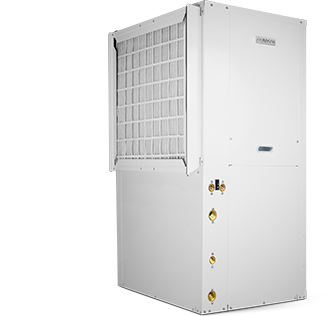 Contact us for more information on the Voltex Heat Pump Water Heaters.